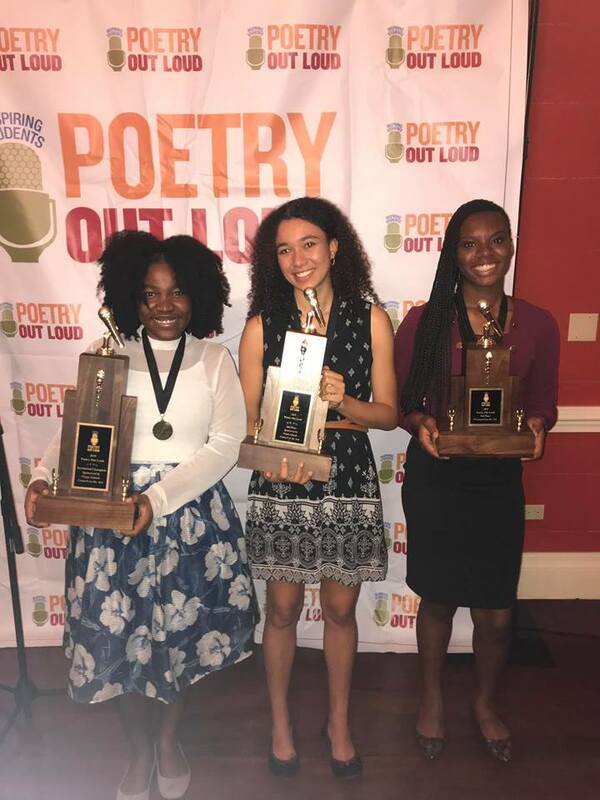 Join us as state champions from high schools in all 50 states, the District of Columbia, the U.S. Virgin Islands, and Puerto Rico compete for the Poetry Out Loud national title! 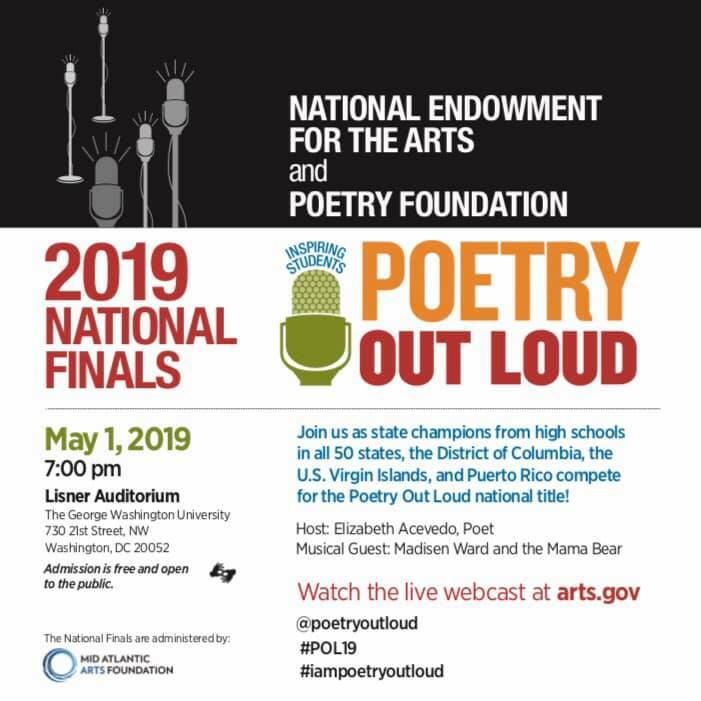 Enjoy this live, one-time only WEBCAST of the Poetry Out Loud semifinals on Tuesday, April 30, 2019 and and the national finals on Wednesday, May 1, 2019. 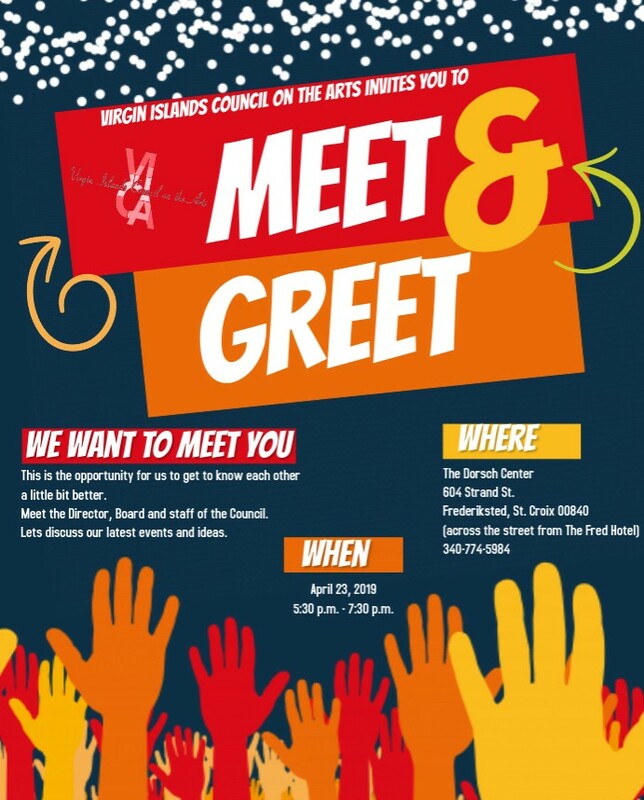 Join us on April 23, 2019 for the reopening of the Dorsch Center. 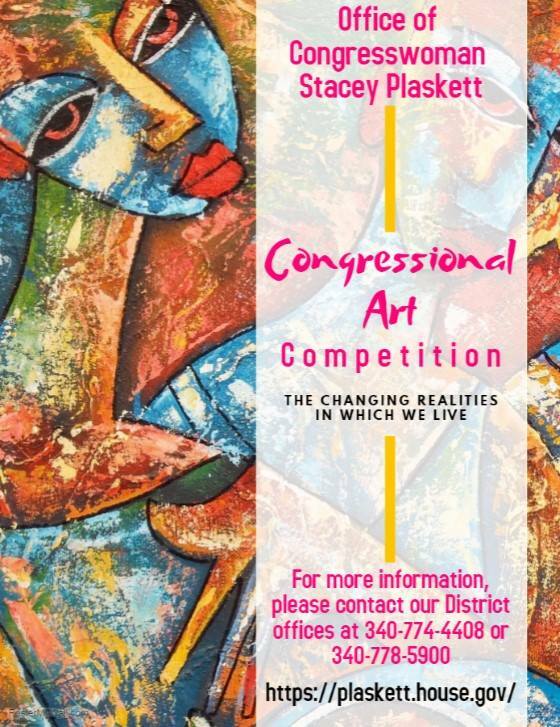 St. Croix participants, please drop off Artwork to the Office of Congresswoman Plaskett on 60 King Street, Frederiksted St. Thomas/St. 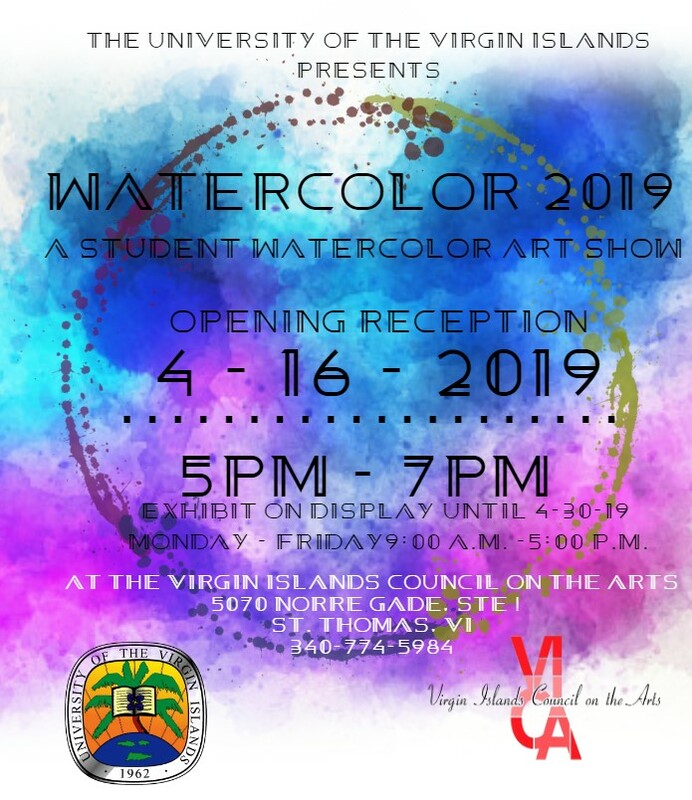 John participants, please drop off Artwork to the Virgin Islands Council on the Arts (VICA), directly across from the Fort Christian Museum in the Francois Building. 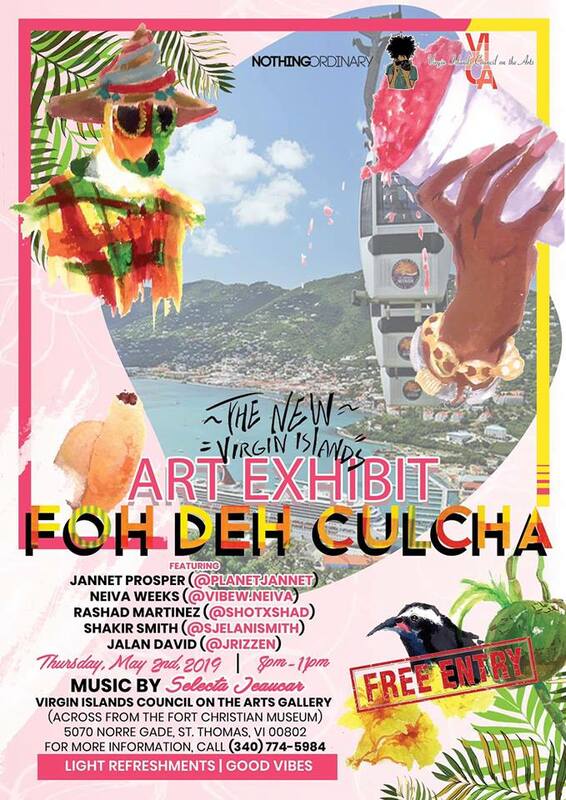 On March 9, 2019 the Virgin Islands Council on the Art’s held it’s 12th annual Poetry Out Loud Competition. These are the winners from left to right; Mahlana Graham (territorial champion), Anika Hahnfeld (2nd place) and Angelica Sterling (3rd place). 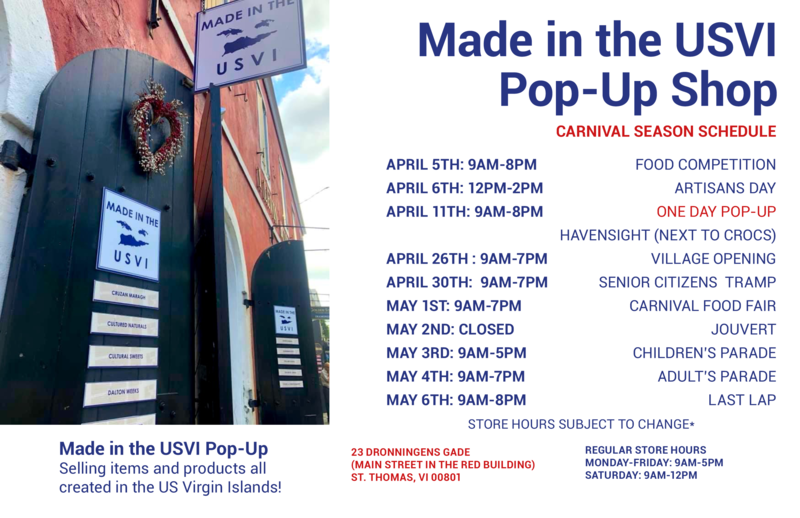 Mahlana will advance to the National Finals in Washington D.C. to represent the Virgin Islands. of all skill levels, led by prominent faculty artists. Haystack also offers a residency program, conferences, a visiting artist series, spring and fall workshops specifically for Maine residents, and workshop series and mentorship programs for Maine high school students. 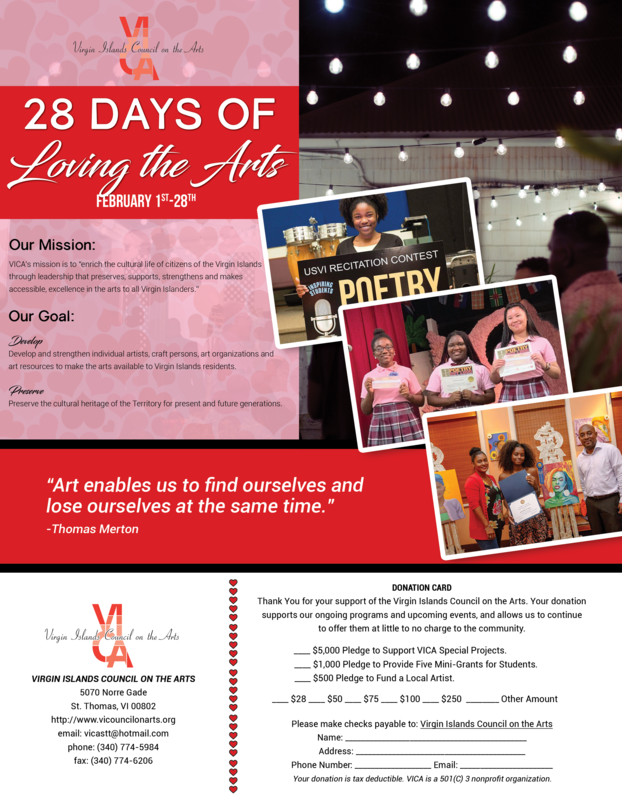 Help Support the Arts Today !